Our original and most popular city tour. See the best of Auckland by electric bike, without breaking a sweat! 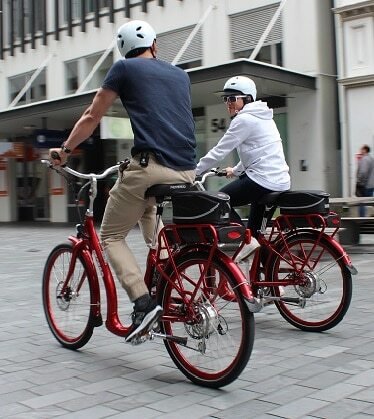 We cycle our amazing electric bikes around some of the most vibrant neighbourhoods in Auckland and give you an insider’s view. 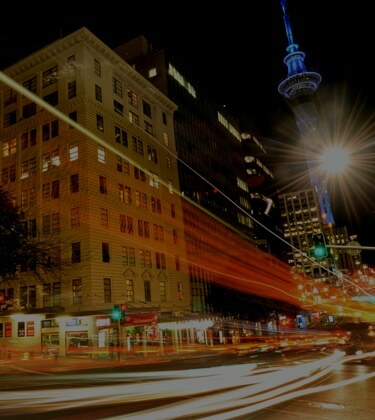 A unique experience in Auckland – we’ll ride out at dusk and pick the best vantage points to see the city light up. love to show the best of Auckland and its surroundings.. Explore Auckland combo tour. Walk and eBike: the ultimate Auckland-in-a-day experience! 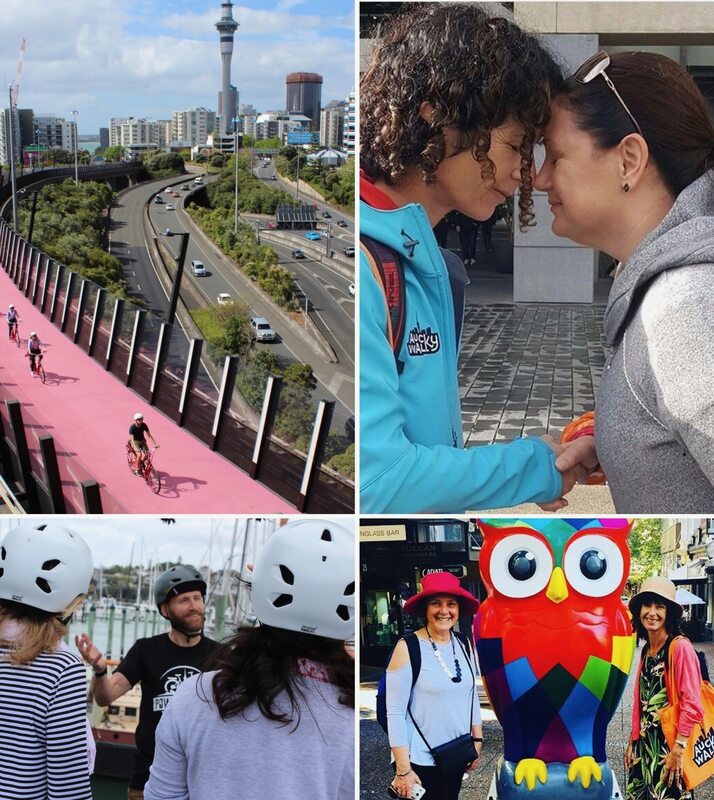 Join us on our guided Auckland bike tours – as you glide effortlessly along on your electric bike, we’ll show you the highlights of this amazing city. Our guides are 100% local and love to explain what makes Auckland such a fantastic place to live (that includes taking you to some of the ‘secret’ places only the locals know about!). 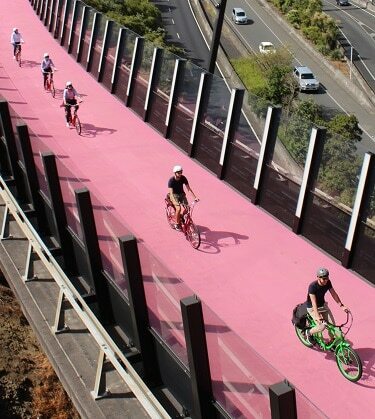 Auckland’s extensive and award-winning cycleway network makes getting around the city a breeze. What is an eBike? Simple – an electric bike! If you can ride a bike, you can ride an eBike. In fact, many of our guests have said that riding an eBike feels like being a kid on your first bike again – that sense of exhilaration and fun! They genuinely take the sweat out of cycling. You let your eBike do the work, while you enjoy the sights and sounds of the city. One of the most fun things to do in Auckland! 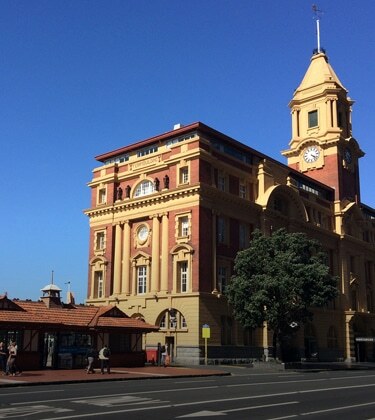 ✓ We’ve been rated the #1 Outdoor Activity in Auckland Central on TripAdvisor! ✓ Our guides are local experts, who can show you the best of the city they love. ✓ Our group sizes are small – no more than 6 guests and one friendly guide! ✓ We provide a cycle tour headset – so you can safely enjoy live commentary from your guide as you ride. ✓ Our base is perfectly located right in the heart of the city – close to many hotels and the cruise ship terminals. ✓ Because there’s no better way to see the sights and sounds Auckland – let your electric bike do all the work for you!